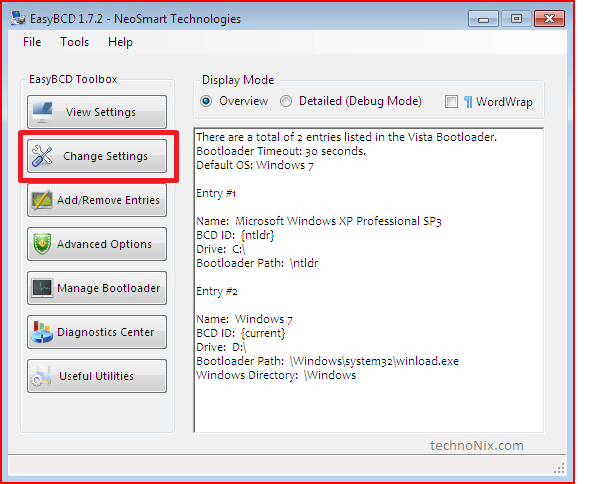 This is Part 2 of the series of articles which will have many new (and old) tips and tricks to enhance windows 7. Stay tuned for more! The Windows 7 installer makes Windows 7 as the default OS and renames XP as “Previous version of Windows”. This is pretty annoying, and it becomes worse if you have both 64 and 32 bit installed on the same computer.It shows both of them as same OS.In windows XP, all the boot entries were stored in boot.ini in C:/ drive. Changing the descriptions was as easy as editing boot.ini. With Vista and Windows 7, Boot editing require commandline tools like bcdedit.exe. 2) Open EasyBCD and Goto Settings in left pane. 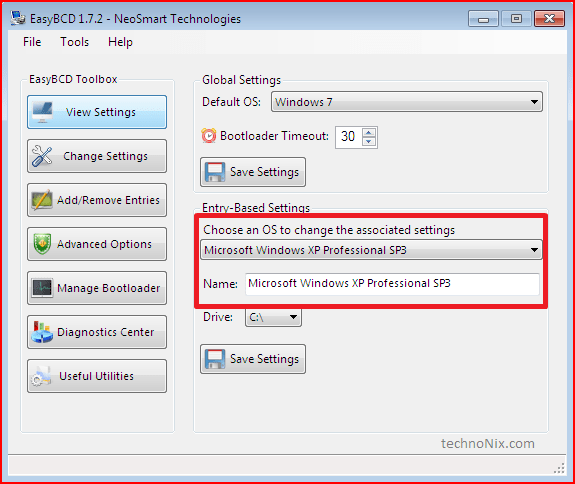 3) Choose “Previous Version Of Windows” in the dropdown menu present in “Entry Based Settings”. 4) Change “Name” to anything that you like. Do not change the Drive Option. 5) Hit “Save Settings”. Reboot and Enjoy. More windows 7 tips and tricks will follow soon! All things about Windows 7.0: New, Old and Bad!